Eleven of the twenty largest cities of Russia, including the capital, Moscow, are located in the Volga's watershed. Some of the largest reservoirs in the world can be found along the Volga. The river has a symbolic meaning in Russian culture and is often referred to as Volga-Matushka (Mother Volga) in Russian literature and folklore. 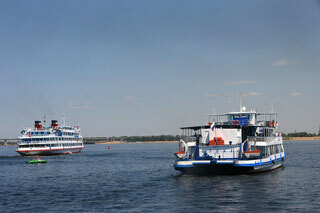 River cruises down the Volga operate during the summer months (early May to end of September). Dozens of boats operated by different companies run from Moscow to Astrakhan. This article uses material from the Wikipedia article "Volga River Cruise", which is released under the Creative Commons Attribution-Share-Alike 3.0 License.